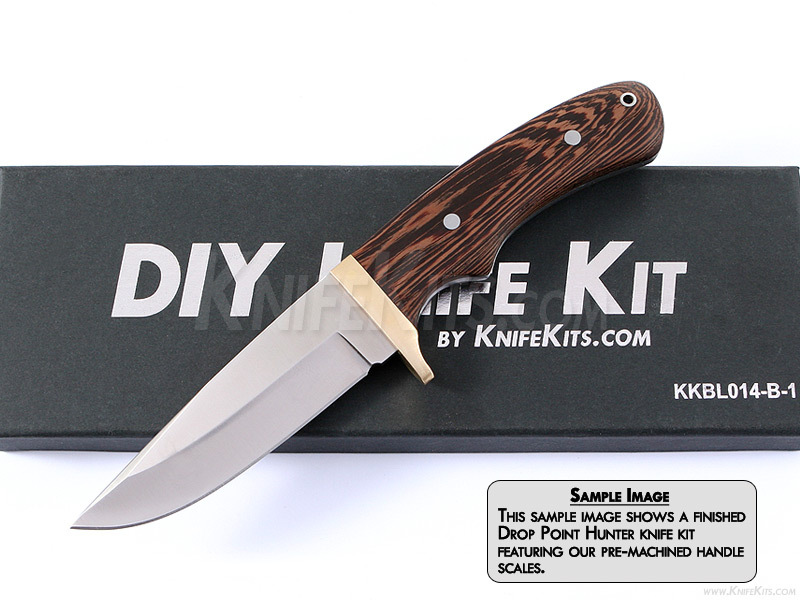 The Drop Point Hunter offers a great design for those seeking a utility/hunting knife. It features a drop point blade design with a hollow grind. The blade comes extremely sharp out of the box. This version is the combo kit. It comes with blade, pre-pinned guard and pre-machined Lacewood handle material to simplify the completion process. Add the handle pins of your choice, together with a touch of proper finishing and you will create a fabulous knife that you'll be proud to carry and own for years. Our pre-machined knife handle scales are slightly thicker and larger in diameter than the handle tang they are designed for. This allows for proper sanding, shaping and artistic embellishment. They are also undrilled to allow the builder precise placement control and to maximize fastening options. You can use standard pins, mosaic pins or a number of handle fasteners. The choice is up to you. If you do not have a scroll saw to use for creating the required handle shape, or you just want to begin from an easier starting point, using these pre-machined scales will help you insure that your kit completion will be smooth and successful.